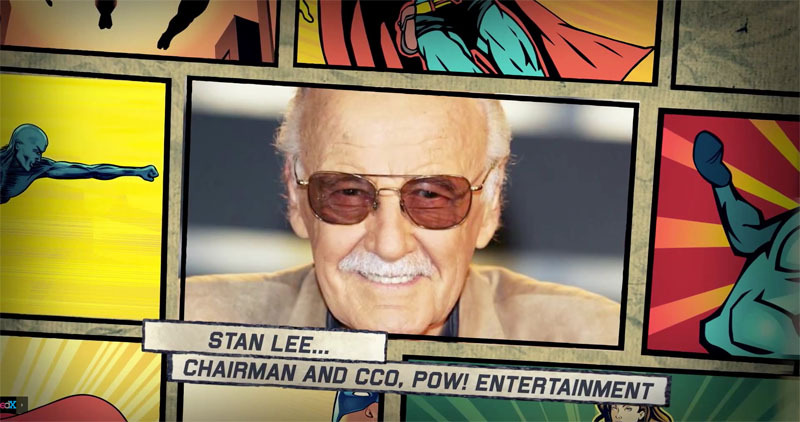 Calling all students of pop culture, history, and superheroes: It’s time to register for a unique free online course that features comic book legend Stan Lee. Yes, true believers, this is a great opportunity so don’t miss out. The course begins May 5. Register by March 31 right here. Stan Lee, Chairman and Chief Creative Officer, POW! Entertainment and Chairman Emeritus of Marvel, has teamed up with the Smithsonian Institution, the world’s largest museum and research complex, to teach a free open online course, in partnership with edX, the nonprofit online learning initiative. Fans will have the opportunity to become certified experts in the superhero genre and be taught by one of its greatest living legends. Lee, a pioneer of the comic book genre and creator of some of the most recognizable action heroes of page and screen, will join Michael Uslan, Executive Producer of the Dark Knight trilogy and Professor of Practice at Indiana University’s Media School, and David Uslan, Executive Producer of Sabrina: Secrets of a Teenage Witch and AMC’s Mob Week documentary series, to teach “Rise of Super Heroes and Their Impact on Pop Culture.” An examination of the rise of comic books to their dominant place in pop culture, the course will provide different perspectives of the history and cultural influences of the superhero genre. The course is open to all ages, and is delivered via video lectures and interviews, interactive exercises, curated links and readings, and online discussion with course faculty and students from around the world. Participants who sign up for and earn a verified certificate in the five week course will receive a certificate featuring original artwork with both Stan Lee’s and Michael Uslan’s signatures. “Rise of Super Heroes” starts May 5, 2015. Participants must register by March 31 and complete the course to qualify to receive the signed certificate with limited edition artwork. I think a lot of folks will get something out of this course, whether or not you read comic books. I’ve signed up for it! Yes, it’s going to be an awesome course!